In this post we will see how to use browser intent. 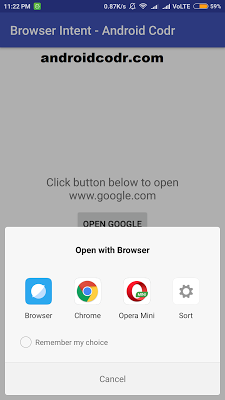 In app if you want to open url i.e. 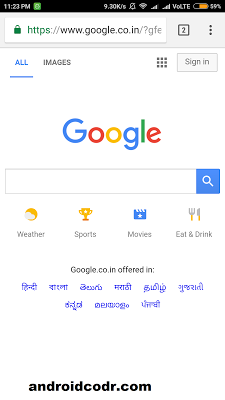 website in phones browser. then Browser Intent is used. 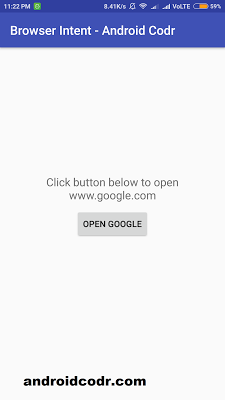 the link will open in Phone’s default browser. then it will show list of browser to select one of them. 4. 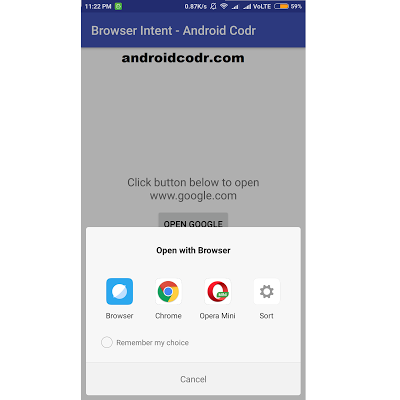 I used package path as com.androidcodr.browserintent click next. 5. On this screen set minimum sdk API 16 click next. 6. Add empty activity. click next. 7. keep Activity name as MainActivity click finish. wait till project load completely. 10. add a button at center of screen. set its properties as follows. android:text="Click button below to open www.google.com"
13. define new Intent which will open our url. 14. use setdata method to pass Uri. 16.so your full method will look like this. 17. Build your Project and run. 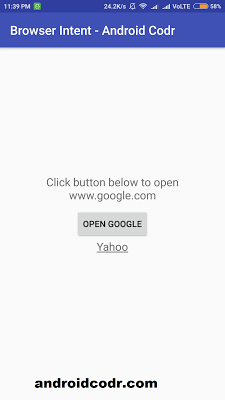 now click on button open google. 18. Here in my mobile 3 browser app installed. 20. url is now opened. 21. if you dont want button. you can use simple textview. to look textview is clickable we will draw under line to text. 22. first add Textview below our button. 23. now declare field textview in MainActivity. 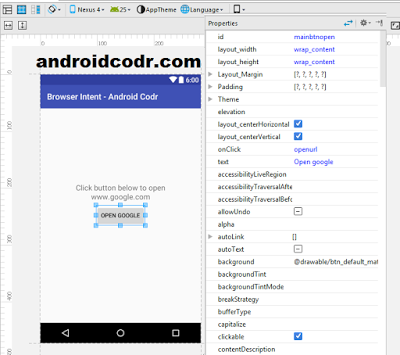 24. in method OnCreate initialize textview. 25. now we will use sentPaintFlag method to draw under line. just like we added for button. 27. again build project and see. 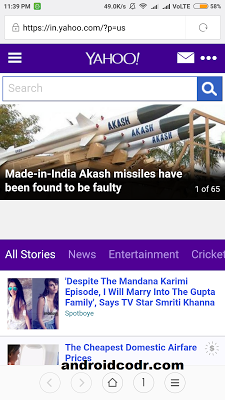 yahoo textview is having underline. it will open url in browser. 29. play with code change url. If you Like post. Share with your Friends.